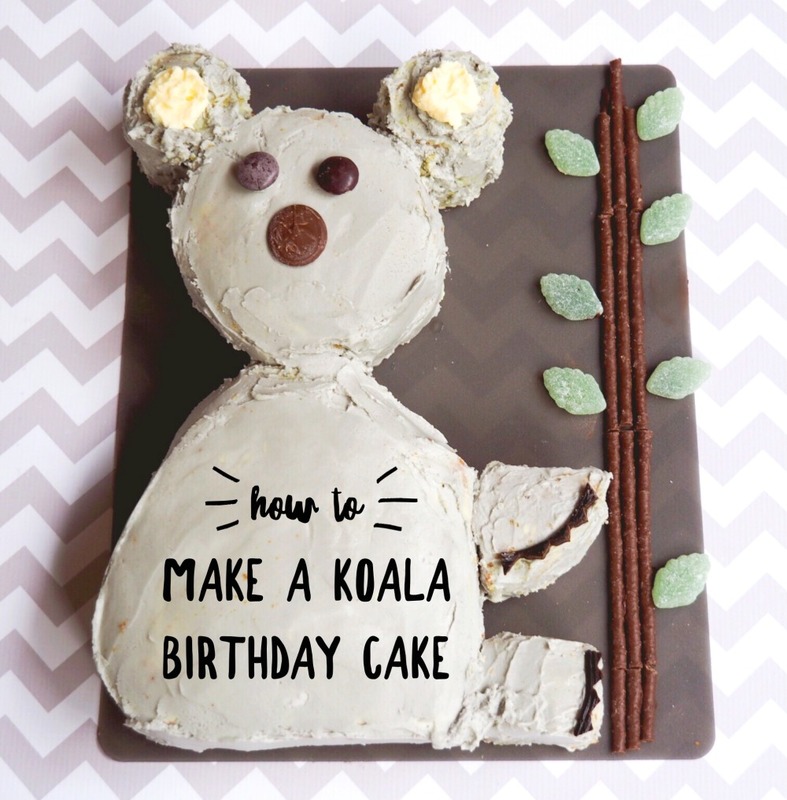 Making a Koala Cake is easy when you know how, and even easier when you have a template! Making a cake from the AWW Birthday Cake Book has been on my list of 101 Things to Do in 1001 Days for quite some time. Now that I’m a wannabe minimalist, I’m all about experiences, not things and a cake is definitely an experience. Growing up in the UK there was no such thing as the AWW Children’s Birthday Cake Book so I can’t help but feel that David and I have a whole lot of birthday cakes to catch up on. Yes, I made this cake for my husband (who was turning 46) because you’re never too old for a birthday cake! 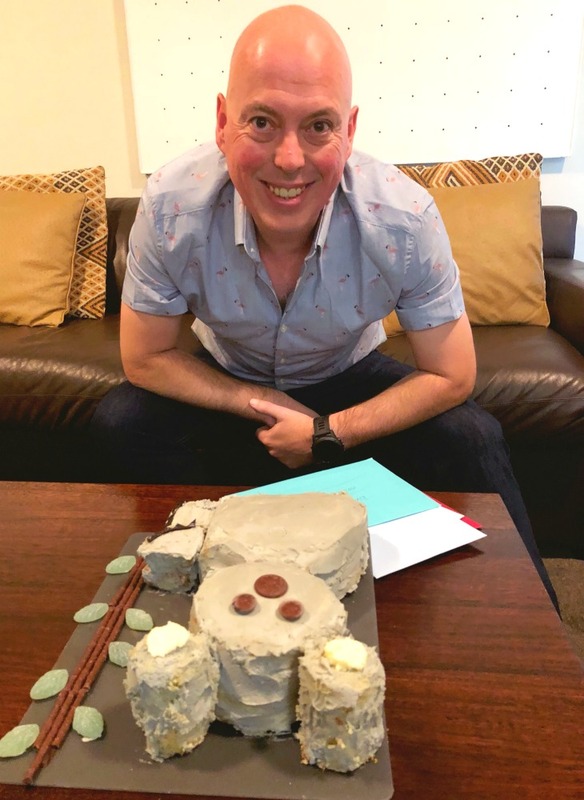 David got quite a surprise because just between you, me and the rest of the interwebs, I think he was expecting a football cake but seeing as we’ve just celebrated 10 years of living down under, I thought the koala would be most fitting. David usually assembles the birthday cakes in this house – we don’t call him the “Cake Boss” for nothing, you know. If you don’t believe me take a look at some he “helped” me make earlier, the Train Cake, this Moana Cake and this Lion Guard Cake. Understandably, I was a little anxious about how I’d go left to my own devices. I needn’t have worried though, this cake is an absolute doddle and if I can make it anyone can! Now I took some artistic licence and deviated from the original. First off, I’m a birthday cake purist and only cakes sandwiched with jam and buttercream will do. I gave the chocolate icing a miss because first, I don’t chocolate with my jam and second, who’s ever seen a brown koala? 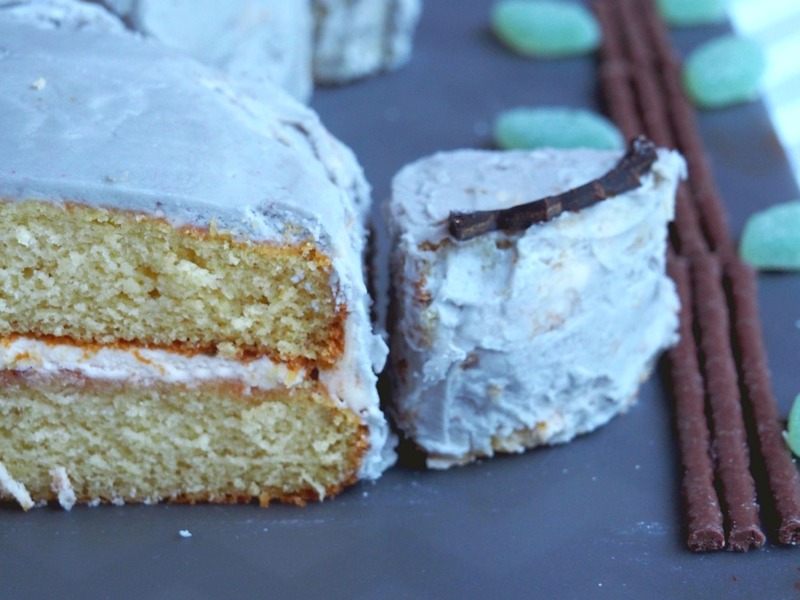 I also skipped the coconut because if you make your icing rustic enough, it will almost look fur like! 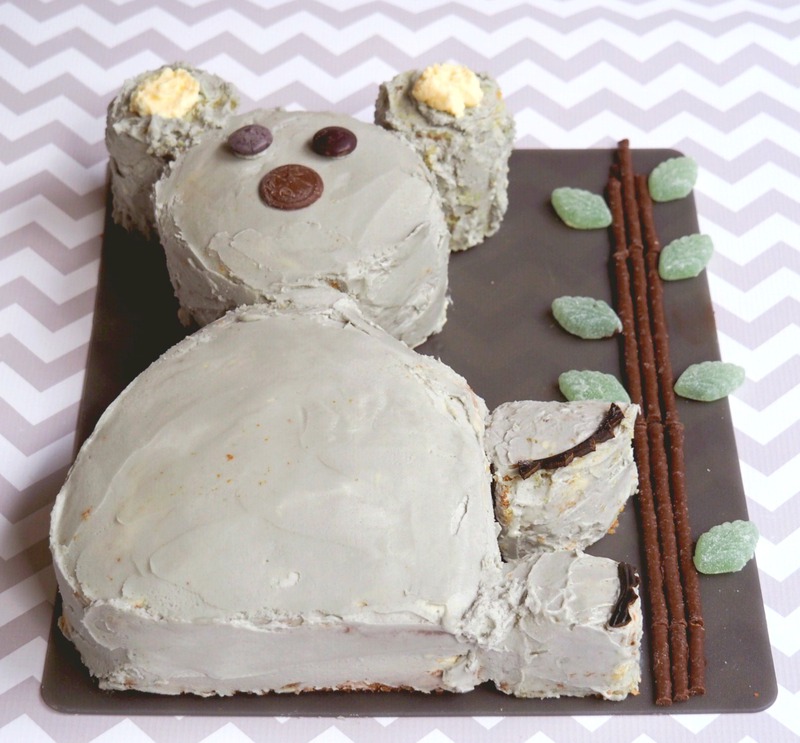 I also reduced the dimensions of the cake parts so that the koala would fit on one regular sized chopping board. 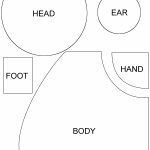 I have no spatial awareness and can’t draw for toffee, but luckily my friend Andrea can and she kindly made me a snazzy template which David has snazzily made into a prinatable so you can use it too! Just click on the image and the PDF will pop up – just like magic! I’ve used my favourite sponge cake recipe because the buttermilk cake holds it’s shape and keeps really well. If you want to make it ahead of time, it will keep well for a few days un-iced and if you want to be extra organised it is also very freezer friendly. I like to cut out the shapes before freezing but decorate the cake when it’s defrosting/semi-frozen. As this cake has a few different shapes to cut out, be prepared to taste test the offcuts or upcycle them into a trifle or something equally delicious. Have you ever made a cake from the AWW Children’s Birthday Cake book? Or even better, have you ever had one made for you? Divide 1 batch of cake mixture between 2 x 20cm square shallow cake tins. When cool, cut the cake using the template to make the body and paws. Divide 1 batch of cake mixture between 2 x 20cm square shallow cake tins. When cool, using a round cookie cutter, cut out 8 x 6cm circles for the ears. Divide another batch of cake mixture between 2 x 18cm shallow round sandwich tins. When cool, cut each cake into 12cm rounds for the head. Wrap all the body parts in plastic wrap and place in a ziploc bag or airtight container in the freezer. Position one layer of the body on board to make the koala. Put a few blobs of buttercream on the board where the cake will be. This is going to be the “glue” that holds the cake in place. Position the body on to the board. Cover the cake generously with jam. Don’t spread the jam right to the edge, leave a border of about 1cm. Pipe the buttercream over the jam, again leaving a small border. Sandwich the head and ears with buttercream but don’t stick them on to the board yet. 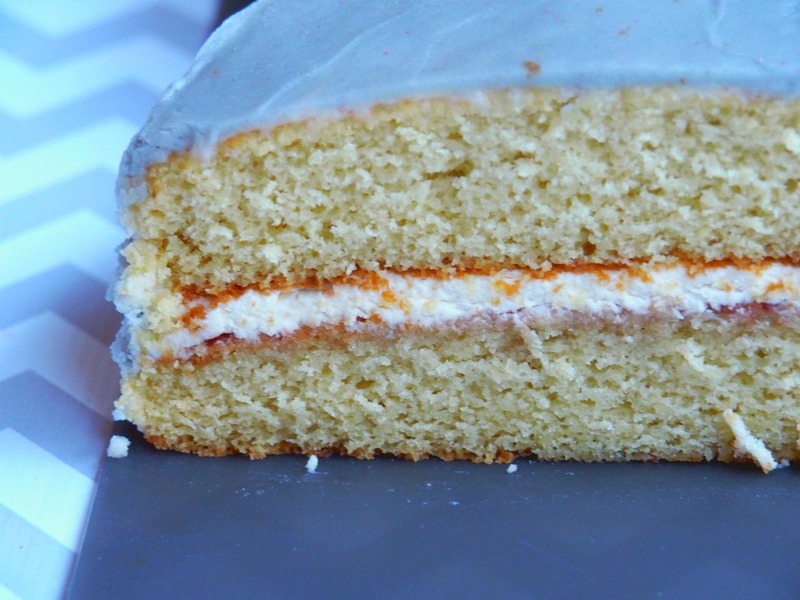 Now you’ll need to give the cake a “crumb coat” or what I like to refer to as “dirty icing.” Using a palette knife, spread a thin layer of buttercream first over the top and then over the sides of the cake to seal in any loose crumbs. Remove any excess frosting with the palette knife. First work on the body, and then the head, paws and ears. Place the crumbed head, paws and ears in position on the board and secure in place with some buttercream. Take about two thirds of one batch of buttercream and add a few drops of black food colouring. Mix well until you have your preferred shade of grey. 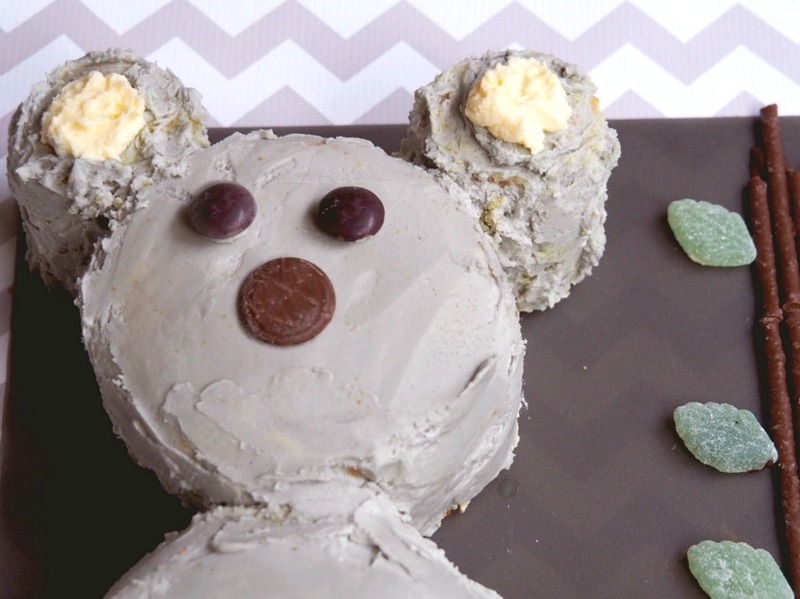 Spread the buttercream over the koala’s head, paws and body and around the edge of his ears. Use a teaspoon of the white buttercream to make 2 white circles in the inner ear. Ensure the koala is covered in icing and then press on a chocolate melt for the nose, 2 minstrels for the eyes and cut some licorice shapes for claws. To make the tree, melt the chocolate in the microwave and drizzle along the board where you want the tree to be. Arrange matchmakers or chocolate fingers in position and stick on the spearmint leaves with little blobs of buttercream. Ta-da!